Albuquerque is the largest city in sparsely populated New Mexico, America’s 5th-largest state by area. With a metropolitan population of approximately 850,000 people, nearly half the population of the entire state of New Mexico lives in the Albuquerque area. Albuquerque is known for its natural beauty and Spanish and Native American influences, which have together created a very distinct culture unique to New Mexico and the American Southwest. As Albuquerque has progressed into modernity, it resisted the types of growth found in other cities. 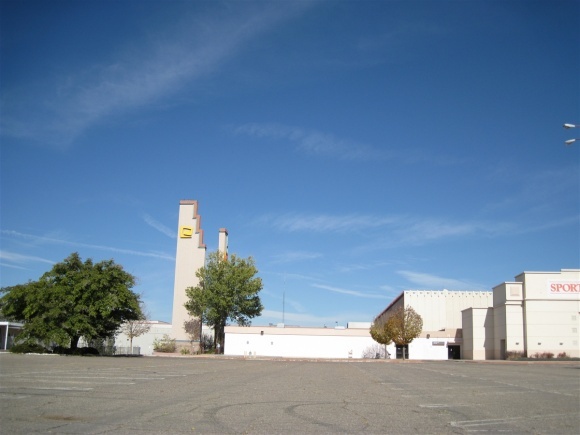 The impetus for growth in Albuquerque was not the manufacturing age and the industrial revolution – as was the case in many eastern and northern cities – but the Atomic Age during and after the Cold War. The establishment of Kirtland Air Force Base, Sandia Base, and Sandia National Laboratories during the 1930s into the 1950s positioned Albuquerque for immense growth, and from 1940 to 1960 the city grew from 35,000 to 200,000. The area has grown at a fast pace since, and in 2007 was named by CNN and the U.S. Census as the 6th fastest growing city in America. 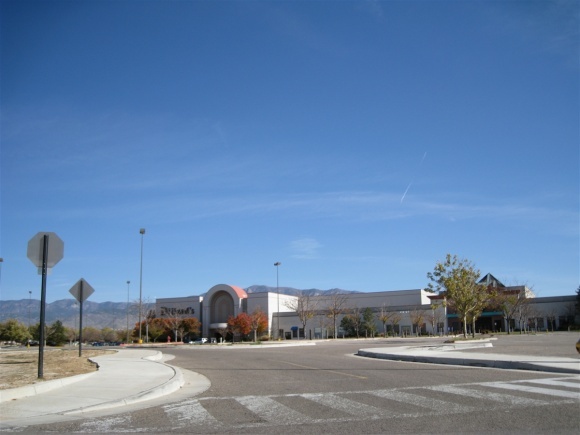 As much of Albuquerque’s growth occurred after World War II, developers assumed people would rather drive than walk places, so development patterns followed suit. 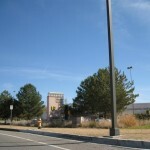 Albuquerque’s major streets are on the grid system, with shopping and convenience centers at major intersections. This is a very typical development pattern throughout much of the American Southwest and Sun Belt region in general. Also, due to both geography and the positioning of Albuquerque’s industry, growth patterns favored filling in the valley to the east of downtown. 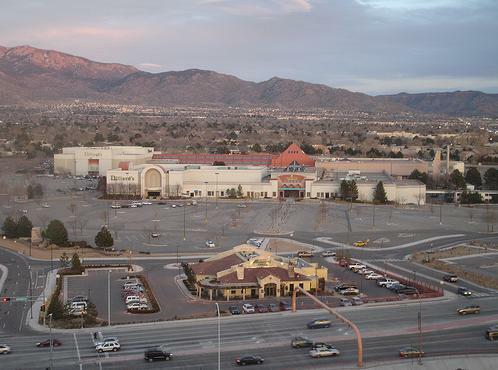 In response to its tremendous growth, Albuquerque decided to jump on the mall-building trend and began planning the state’s first mall in 1960. 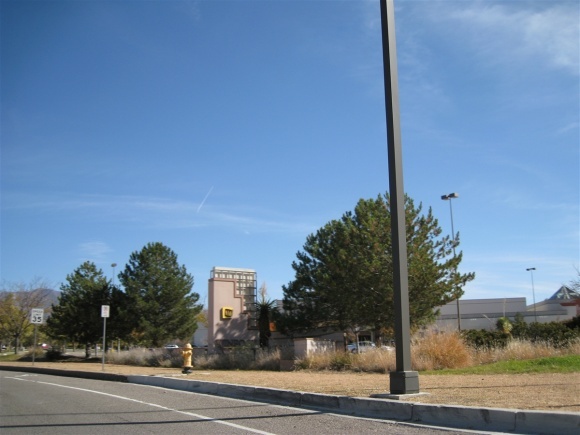 Due to development patterns favoring the sprawling east side, combined with the pending completion of Interstate 40 across Albuquerque around the same time, a centrally-located site was selected along Interstate 40 at Louisiana Boulevard – about 6 miles east of downtown. 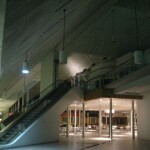 Once the site was selected, Victor Gruen – the Grandfather of malls – was hired to design Winrock Center, which opened in March 1961. 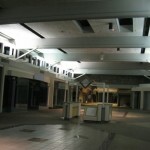 It opened with 42 stores, anchored by Safeway, Kresge, Walgreens, Fedway discount mart, Montgomery Ward, and JCPenney. 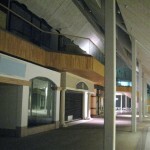 Wards and Penneys flanked the eastern side of the center, and the rest of the anchors were located along the western side with a semi-enclosed mallway in between. The semi-enclosure consisted of a roof with open grillwork to allow the free flow of air into and through the center. 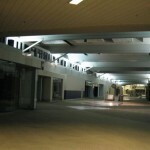 In addition, two completely open-air plazas existed on the east and west ends of the center. A good illustration of Winrock’s 1960s layout can be found here, and Malls of America has a great photo of Winrock from this era. 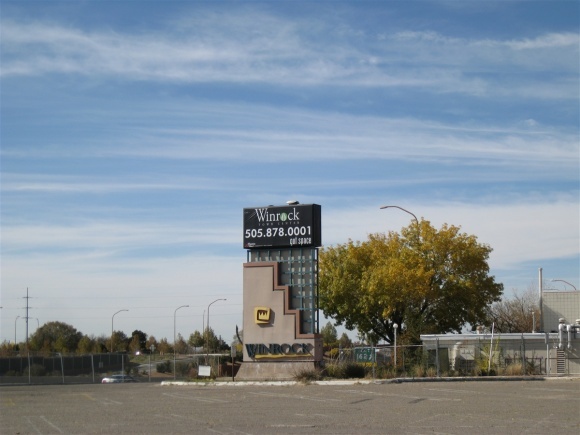 Not only was Winrock a shopping destination, but it was also a pioneer of mixed-use developments, housing a Best Western motel and offices on site, starting in 1963, with housing on its periphery. 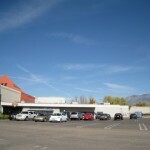 Also in 1963, the Fox Winrock Cinerama Theatre opened in the mall’s north parking lot. 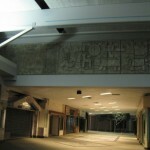 Eager to capitalize on the instant success of Winrock, another developer built a competing mall kitty corner to Winrock in 1965. 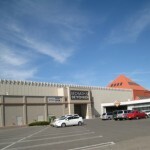 Called Coronado Center, it was anchored by Sears and Tacoma, Wa.-based Rhodes; and, like Winrock, Coronado contained a single level of open air shops. However, despite the opening of Coronado within sight of Winrock, Winrock’s fortunes didn’t immediately suffer – it would take another three decades before Albuquerqueans favored Coronado over Winrock. 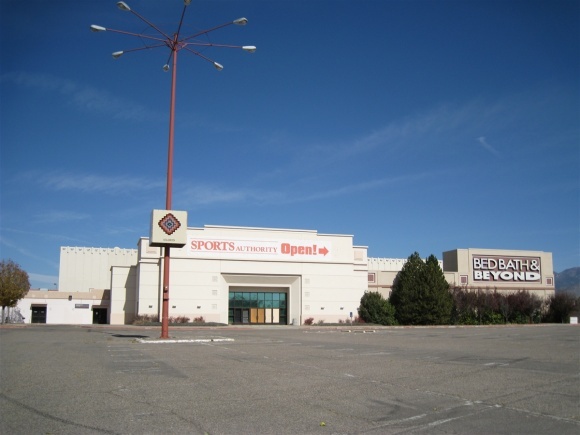 The 1970s brought many changes to both of Albuquerque’s malls as they attempted to modernize and adapt to competition from each other as well as the peripheral retail strip and smaller shopping centers popping up all over town. 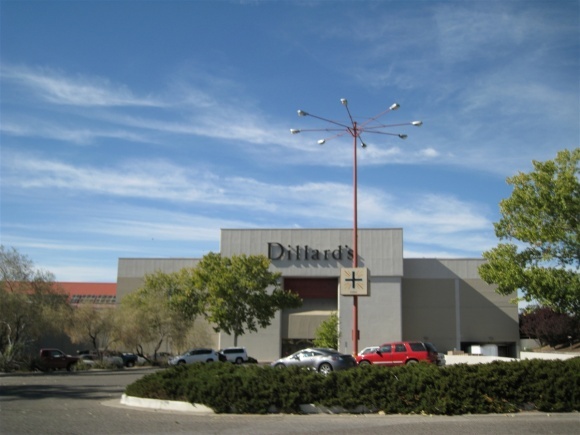 In 1972, Dillard’s arrived at Winrock, replacing the Safeway/Fedway area on the west side of the mall. 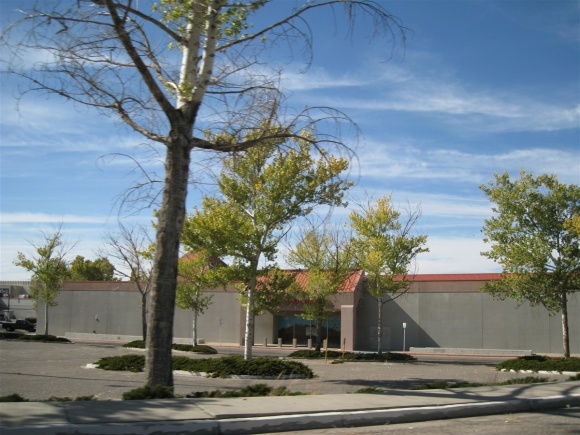 Then, in 1975, both Albuquerque malls decided to expand and fully enclose, providing a fully climate-controlled environment in the relatively harsh Albuquerque weather (wind, heat, cold), as well as providing an edge over other non-enclosed shopping venues in town. 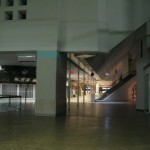 The Cinema was also replaced in 1975 by the larger Winrock 6 complex. After it was enclosed in 1975, Winrock has retained much of the same overall design. 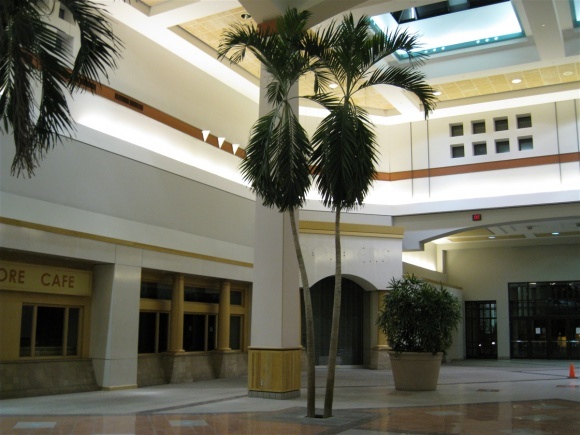 Many Gruen-esque features remained after the enclosure and subsequent additions, such as high ceilings, large windows, and wide mallways. 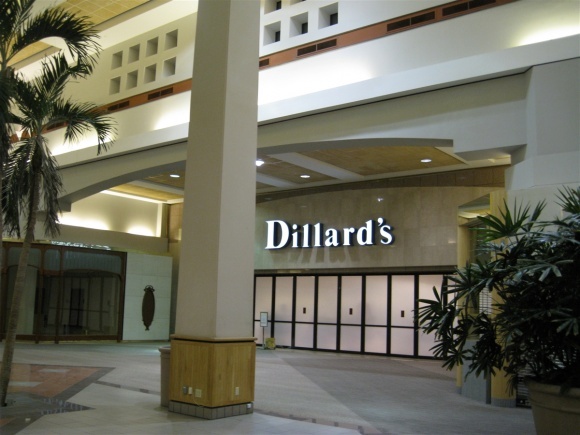 The mostly-‘L’-shaped mall features an oddly canopied second level existing on only one side of the mall, ending in a very interesting configuration for the Dillards Womens anchor on the northeast end. 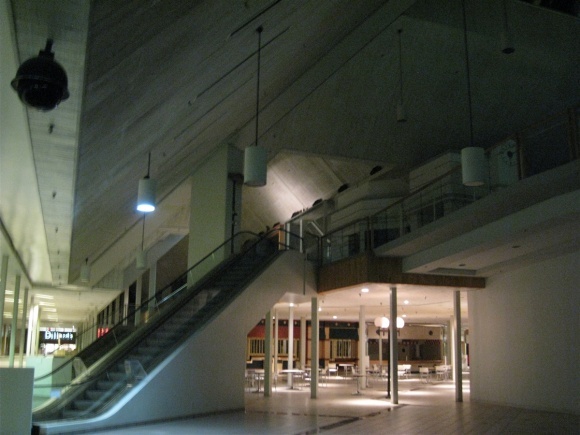 The upper level exists from that anchor down to the food court, located at the crux of the ‘L’, where there is also a small basement level and an impressive three level atrium. 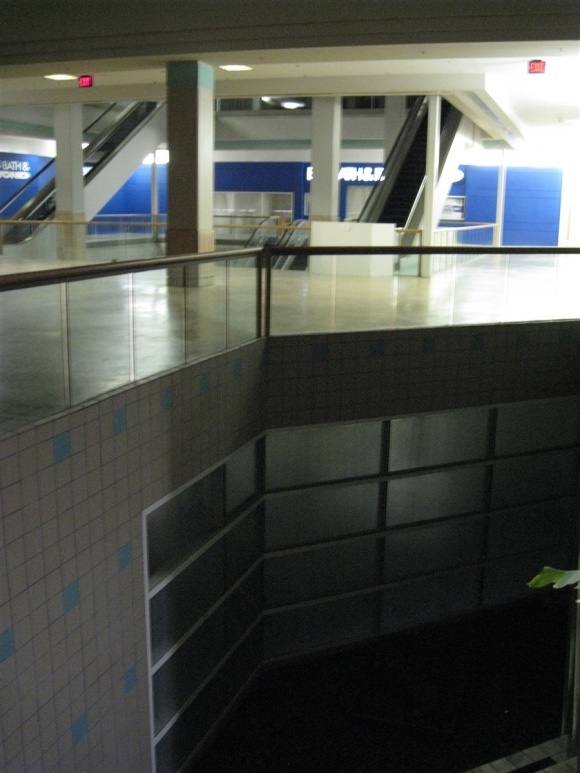 Both the upper level and small basement court have been permanently closed off as of 2009. 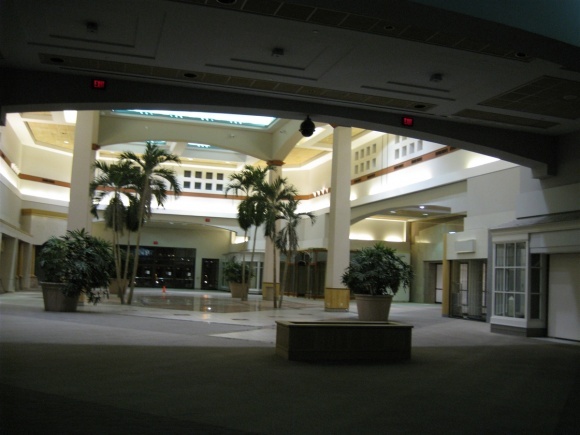 Considering Winrock Center’s website is now defunct, Mall-Hall-of-Fame has provided an excellent illustration of the mall’s current layout on its site. 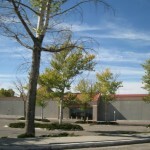 Throughout the 1980s and the beginning of the 1990s, Winrock and Coronado competed head-to-head, even in spite of a new 2-level showplace mall – Cottonwood Mall – which debuted on the northwest side of town in 1996. Despite being almost across the street from one another, Winrock and Coronado contained mostly complementary stores and anchors. 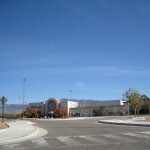 This harmonious co-existence between the malls came to an end during the 1990s, however, as Coronado tweaked its image and stores in order to better market itself to the masses. 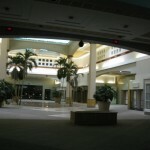 Beginning in the mid-1990s and lasting into the 2000s, the balance of power began to change between the two malls. 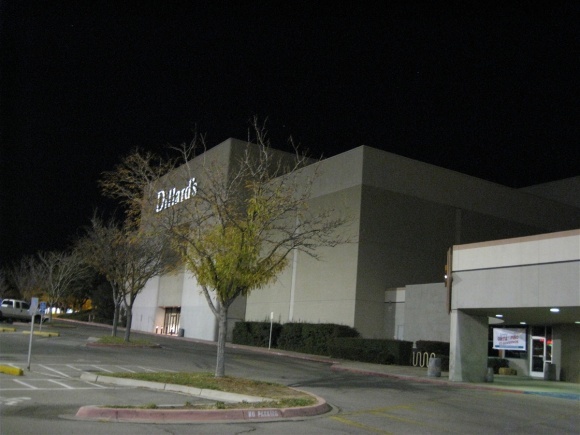 In 1990, JCPenney jumped ship and moved across the street to Coronado Center, but this was quickly remediated by another Dillards taking its place. 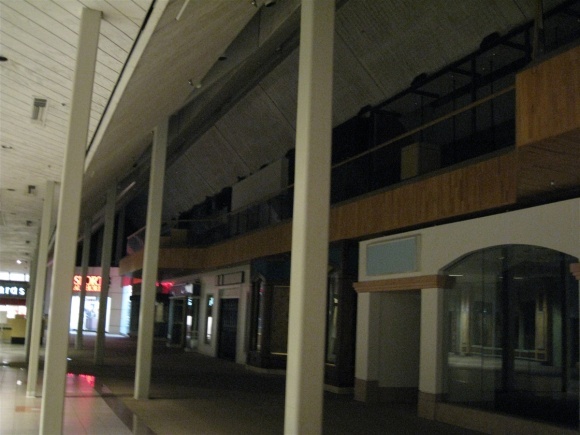 Also in 1990, the huge Montgomery Ward store was subdivided, with 30,000 square feet of its space going to Marshalls. 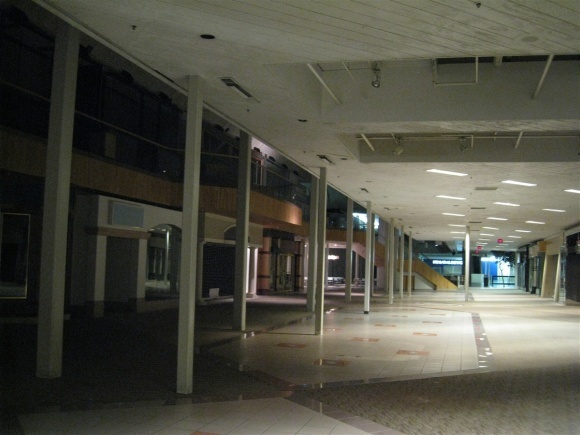 Winrock became known as a haven for seniors, and the stores started to reflect this. 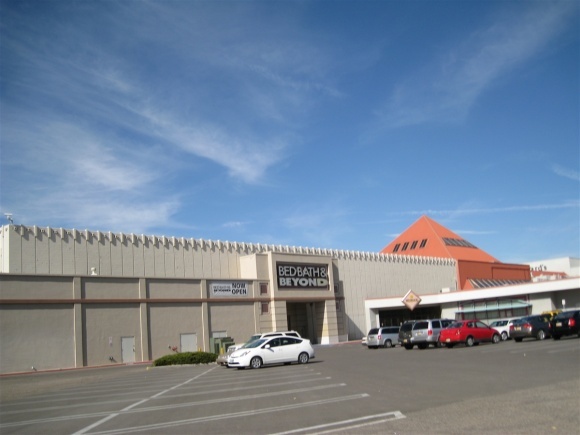 Coronado tweaked its tenancy to provide better stores, and vacancies started to erode the customer base at Winrock; more and more people began choosing the hipper, cooler, and most importantly, variety-laden Coronado Center. 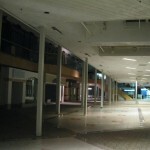 In 2001, Montgomery Ward went broke and closed all their stores nationwide, delivering a massive blow to the already-flagging Winrock Center, and one from which it would never recover. 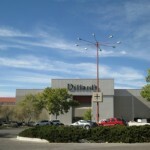 Anchored by two Dillards locations, the mall began losing even more stores, especially the high-volume popular national chains the mall counted on. 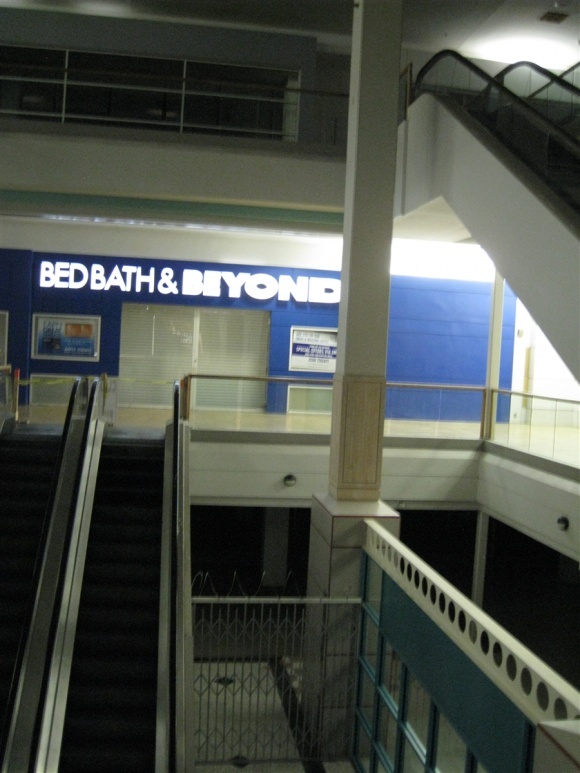 After Wards closed, their space was converted to a Bed Bath and Beyond, which didn’t nearly replace the same amount of traffic. However, as late as November 2003 Winrock was 100% leased for the holiday season, albeit with a fair share of temporary tenants. 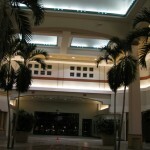 In 2002 following the Wards closure, and again in 2005, realizing the 874,000 square-foot mall was near the end of its useful life in its current state, owner PruWinrock LLC (owned by New Jersey-based Prudential) decided to remodel Winrock Center by returning it to an open-air mall, adding offices and apartments. 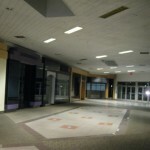 In doing so, PruWinrock decided to let many of the remaining store leases expire without renewal, beginning in 2005, forcing the mall to become even more empty – but this time on purpose. The 174-room Best Western Winrock Inn also closed in 2005, after 42 years of business. 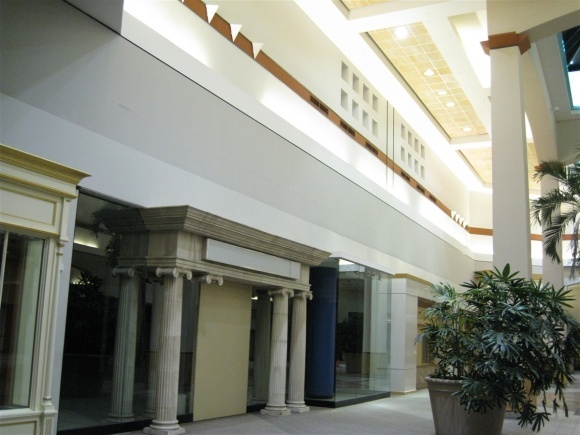 At the same time Winrock’s owners were seeking to de-mall and revitalize their center, an El Paso-based company – Hunt Building Corporation – decided to enter the open-air mall building race, with a goal of beating Winrock to the punch. They secured city approval and permits, a builder, and lined up tenants for a project directly across the street from Winrock and also next to Coronado Center, all in time for a Fall 2006 opening. 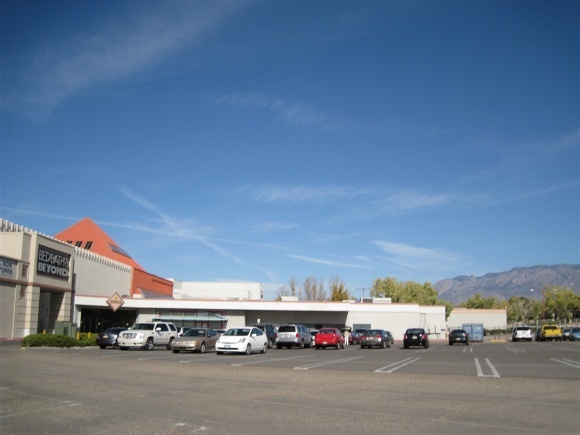 Their project is called ABQUptown, and the first phase of the project featured retail offerings not previously found in Albuquerque. Stores like Pottery Barn, J Jill, Apple and Coldwater Creek opened, which previously required a daunting 900 mile round-trip drive to either Phoenix or Denver. A second phase featuring 198 upscale apartments has also opened at ABQUptown, and a third phase featuring more retail, offices, and condos is planned. 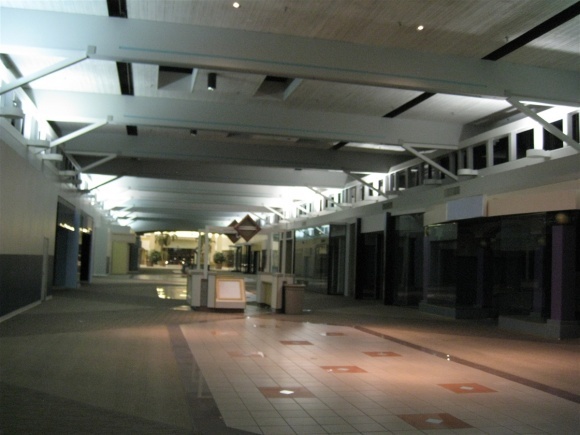 ABQUptown was instantly successful, with several of the popular chain stores posting record sales, on par with markets in much larger cities. 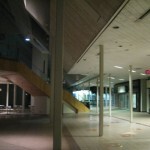 As a retail metaphor for what was happening, one of the last major tenants at Winrock, Borders Books – which opened in the mid 1990s – jumped ship and moved from Winrock across the street to the new ABQUptown development in early 2007. Embittered and beaten by ABQUptown, Winrock’s owner – PruWinrock LLC – became quickly disillusioned, and wanted out of the deal altogether. 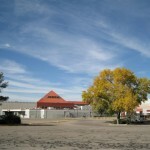 Amid controversy, lawsuits, and disapproval from the city of Albuquerque, Winrock Center was finally sold to a pair of local developers – Gary Goodman and Mike Kelly – in September 2007, with high hopes that a successful new project could soon materialize on the site. In June 2008, Goodman and Kelly unveiled grandiose, extremely impressive plans for Winrock’s redevelopment. 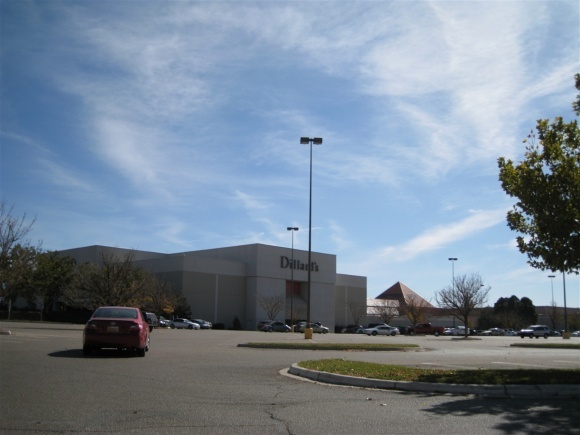 About half of the mall would be saved, including existing stores Dillards, Bed Bath and Beyond, Sports Authority and Toys R Us; the rest would be demolished and reconfigured. In addition to those anchors, a new 16-screen movie theatre with IMAX would be built on the north side of the property. Also, at least one full-service hotel, community gathering spaces, a park, communal gathering plazas, a higher-end neighborhood supermarket and about a dozen restaurants would be built. The retail portion will represent a “cross section” of local and national brands, and one area will be devoted to ethnic foods, according to Goodman. In place of a fountain, a 400 foot long recreation of the Rio Grande River would be created to illustrate the river’s ecology. Wow! Sounds really exciting – if it could all come together, that is. 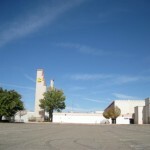 The recent economic downturn wrecked the earlier, aforementioned sales records at ABQUptown and put a pall on the Winrock project, which – as of November 2009 – has yet to break ground. 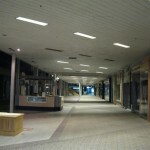 Goodman and Kelly have had a really tough time securing financing for the project, even with the help of local government. In December 2008, the Winrock redevelopment was given a $137 million TIDD – a Tax Increment Development District – which donates a portion of gross state tax receipts to help specific projects. Because the Winrock development is infill – and green-friendly – and will create over 5,000 jobs over the life of the project, it was deemed important enough to provide assistance. 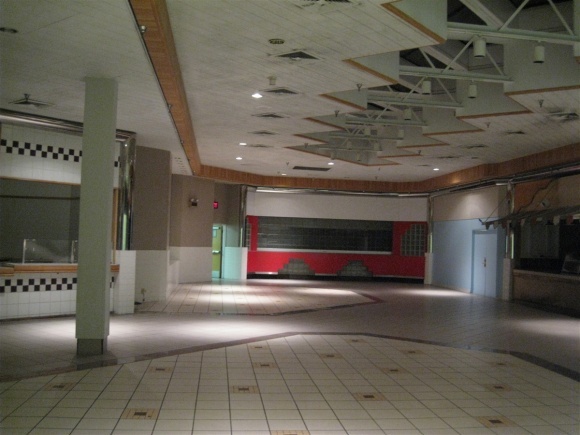 As of May 2009, the Winrock project is stalled, and owner Goodman expressed frustration that financing has yet to materialize. His frustration was amplified by the fact that there has been considerable enthusiasm by retail entities willing to commit to the project, with 2 leases ready to be signed and 9 letters of intent committed. 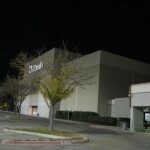 As expected, Goodman has pared down the initial phase of the project considerably, and has rejiggered the first phase to consist of only the construction of the IMAX theater, remodel of one of the Dillards locations, and the demolition of the vacant enclosed mall, along with some site improvements. In desperation, Goodman has even approached New Mexico Senator Bingaman, in order to possibly secure a loan from the federal government to get the project off the ground. We have no new concrete updates about the progress of the Winrock redevelopment, so we’ll assume everything is still status quo until further developments arise. 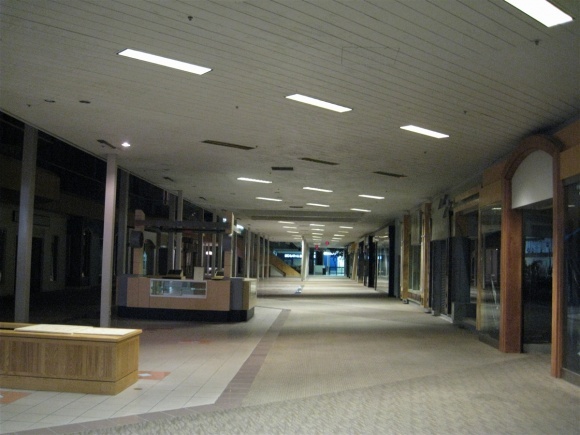 We visited Winrock in November 2009 and were astounded that the mall was still open, seemingly exclusively for mall walkers and the like. 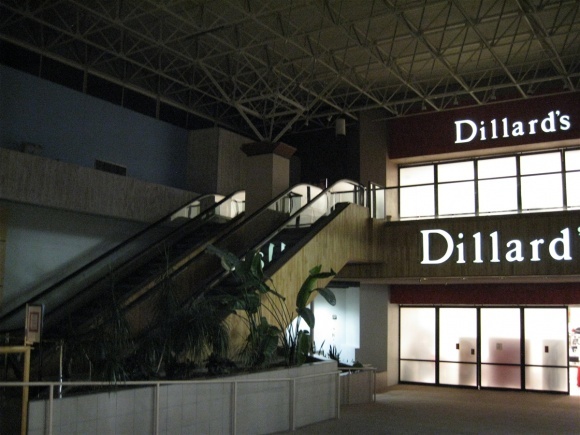 The exterior entrances of one of the Dillards locations, as well as Sports Authority and Bed Bath and Beyond seemed to have permanently closed, but the lower level Dillards entrance on the northeast end of the mall was actually open. 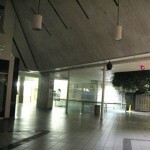 We assume that once financing is secured for the redevelopment, the mall will close as quickly as possible for demolition. So, if you want to see this gem, better get there as soon as possible. Feel free to add your own comments, whether you have extra light to shed on Winrock’s history, past or present, or your reactions. 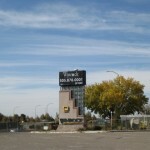 Update 8/1/2011: A site plan for the new Winrock development has been unveiled, and it’s not good. 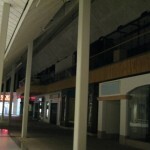 The plan is mainly to convert the site to a big box center, with a small cluster of stores in the center. 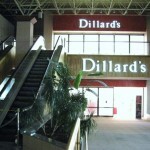 As many malls as Dillard’s has abandoned, they not only are staying here, but have TWO stores here? Unbelievable. 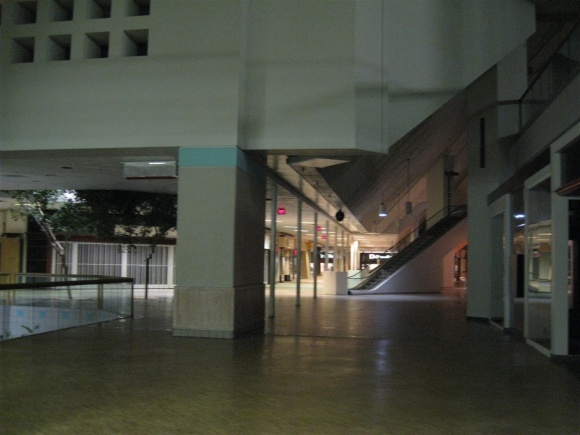 If the owners of the mall hadn’t dragged their feet so much, this mall could’ve held on. 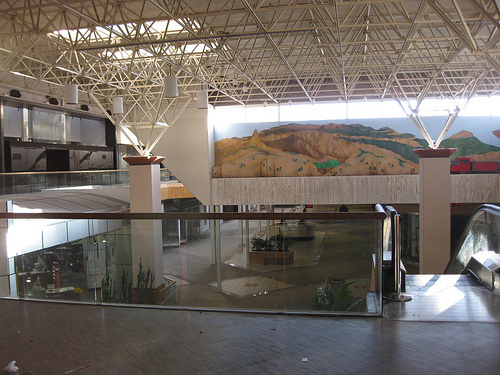 ABQ Uptown’s very existence is sad proof the management had no idea how to position this mall. Also, the motel is still standing. It’s long been abandoned, but still cool. 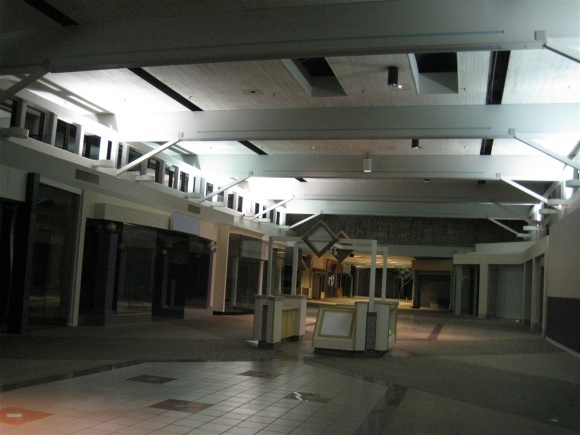 @Alpha, They did a very good job at making the mall appear to be alive and well in the movie. 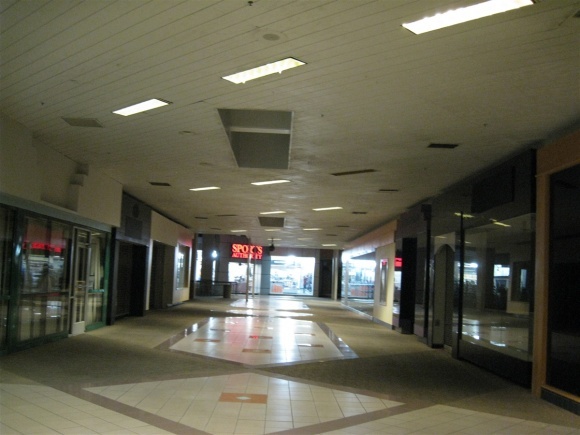 I should have known that the mall was dead because of the generic store names that were used in the movie. The flasher scene at the end of the movie was a bit too much for me. 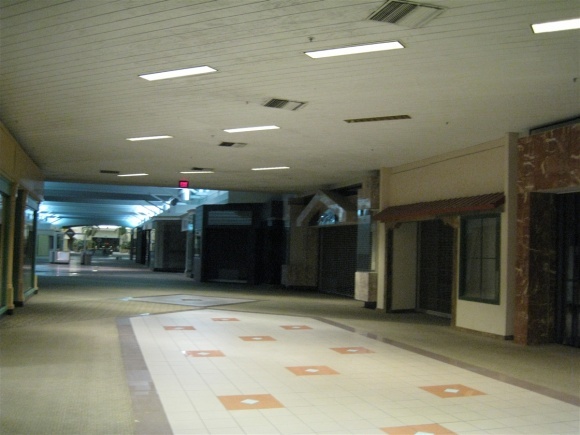 I also thought that the Dixie Square Mall was alive and well until I saw the Deadmalls article in the early 2000’s. 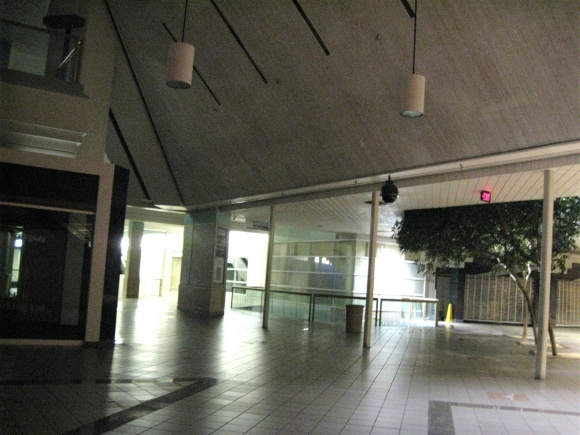 It is very unusual for mall management to keep their doors open, but it is good to be able to document the mall before it is gone. 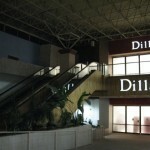 Poor management, bad area and/or bad luck seems to typically maim the best and most interesting malls. This one has a real history, and I can tell it’s not just a little cool. It’s a shame they couldn’t get it right, because that town is very badly overmalled and it looks like Winrock is the loser. 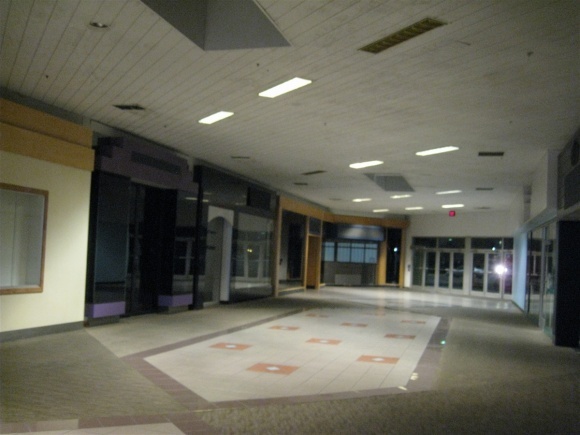 How sad, it actually looks like a pretty cool mall. I like Goodman’s ideas to make it into a mixed use development, but sadly today’s economy has flattened plans for a lot of developments like that, and it seems that there’s already an awful lot of retail in the area. 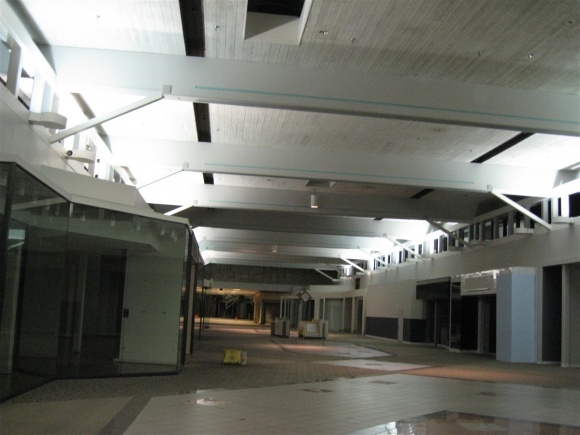 Any future for that mall is very likely a pipe dream. 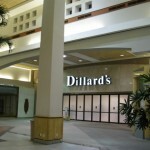 Dillard’s can’t keep a mall open forever by itself. 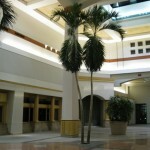 Often many malls used embalmed trees so that need very little care (and light). 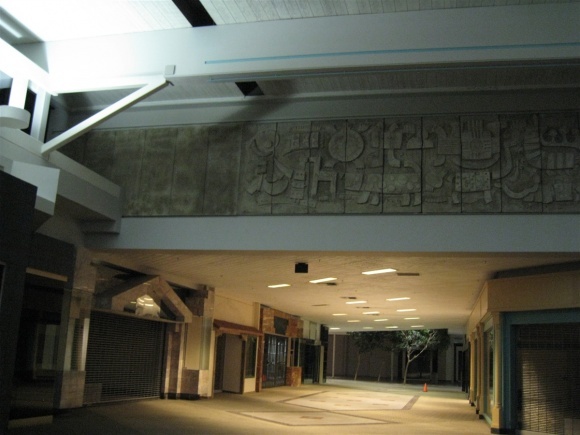 They probably should’ve converted this into a “Mills” type mall when they had the chance. Entertainment and outlet shopping! 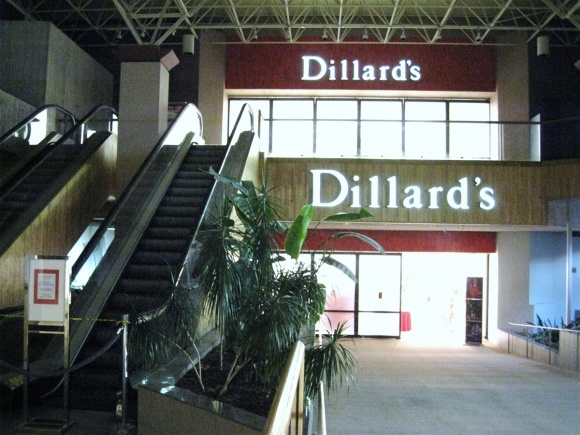 Why are there two Dillard’s stores? Are they different in any way, or are there two stores carrying the same stuff? It’s so odd. I wonder if shoppers actually prefer one over the other. 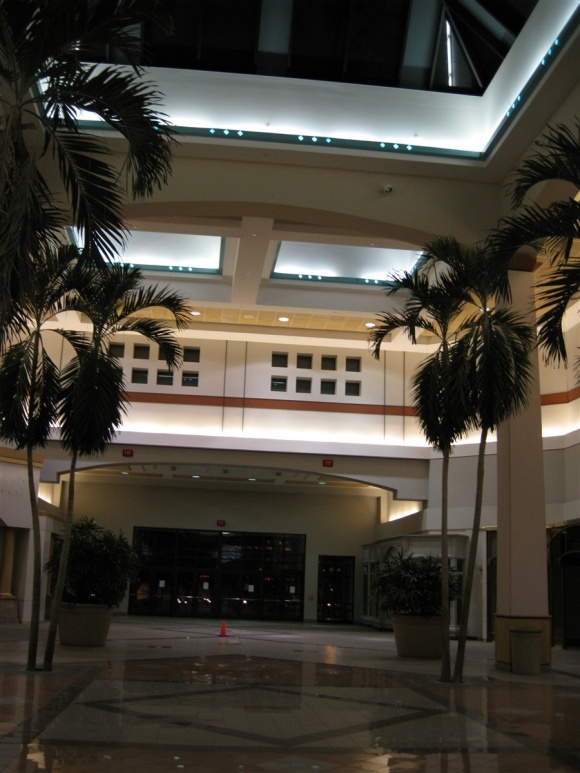 @Marty, the two dillards stores carry separate merchandise/departments; one is all women’s (jewelry, cosmetics, clothing, other accessories), and the other is everything else (mens, home, kids, sometimes furniture). this is common practice in malls with two of the same store, like dillards/macys. What was in the lower level? 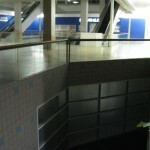 I noticed that by the former Wards store, there is three levels. 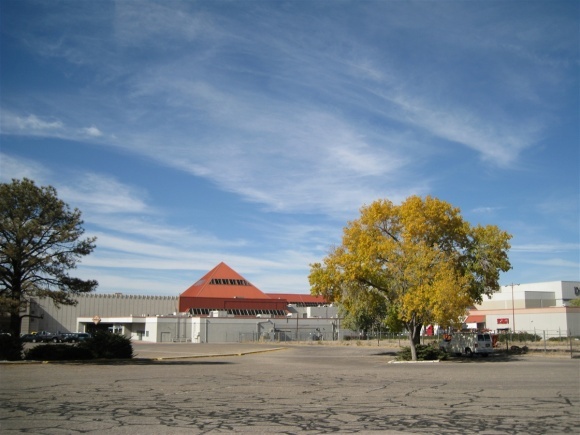 @Jeff, Wards was 3 levels when I moved to Albuquerque in 1999. 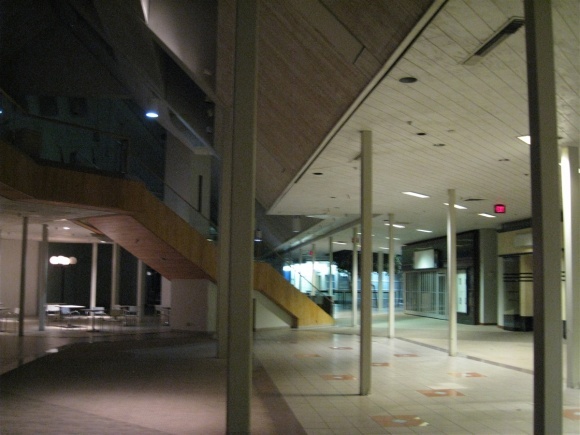 The layout is problematic for any other retailer because it has roughly 100,000 square feet in the basement, which was the home, electronics, appliances, automotive, and furniture section of the store. 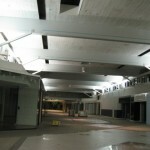 The main floor (35,000 SF) had shoes, women’s clothing, jewelry, and customer service. 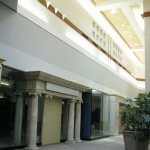 The upper level (15,000 SF) was men’s and children’s clothing. 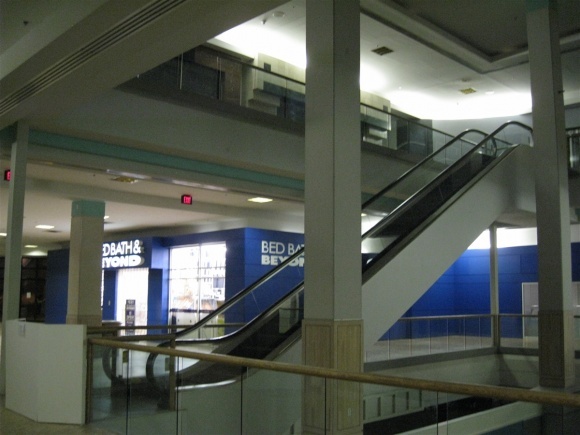 The lower level has escalator access from both inside and outside the main store. 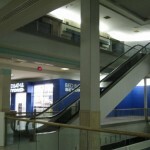 The upper level is only accessible by escalator from inside the store or a 2nd floor entrance from the rest of the mall. 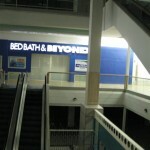 Bed Bath and Beyond was there already in 1999 as well and shared what was originally the main floor of the store. It is my understanding that BB&B replaced Marshalls, which was already gone when I moved here. @Bobby P., You’ve got the entire roster. 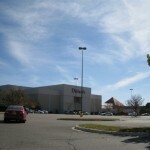 TRU is outside, along with the theater, Garduno’s Mexican Restaurant, and a Macaroni Grille. We only go there when Dillard’s is having a sale. As far as inline stores ca. 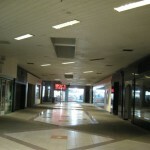 2000, they had Sam Goody, Gap, Structure, Victoria’s Secret, Gamestop, Structure, Express, Bath and Body Works, Lerner, Casual Corner, Foot Locker, Kids Food Locker, Lady Foot Locker, Anchor Blue, Style America, Lotaburger, Wet Seal, Hallmark, Johnny Rockets (upstairs), a state-run MVD office (yes, in its prime and it was always busy), KB Toys. The mall had a good variety of tenants, but had to compete for some chains with Coronado across the street, which, obviously, won out. One inline store was definitely the front of an old Structure. Those columns were very…unique. From the outside you almost couldn’t tell that it’s dead. No surprise the movie used this place in the movie as the star from Observe & Report, Seth Rogen has his offices in the Albuquerque area. Actually Seth Rogen has been helping Albuquerque in getting it’s national reputation as being a “cool” place to make a movie…ANY movie !! Everything from family flicks to dark comedies like “Superbad” and “Observe & Report” to even adult films ( both straight and gay ). Maybe this is the future for this place? Movies !! Not showing them but rather in making them. Maybe Seth Rogen could buy this place. True. 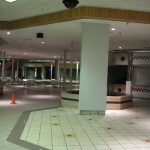 Hawthorne Plaza was filmed for a few movies, but it’s being remodeled. 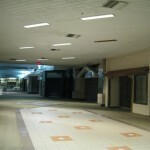 Picture 17 is there a basement in that mall? I can bring a new way of thinking for the use of the Winrock center …. I can help…. I am not from this place but I see the structures are very nice. Why is not really operating? Is there not a good number of population nearby? or is it a victim of some policies or politics involved? It is a shame, though it is a beautiful place. “Is there not a good number of populations nearby?” Did you read the article? The ABQ/Rio Rancho metro area is around 850,000. Which is what the 2nd sentence of the first paragraph tells you. 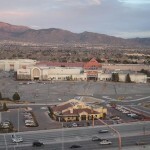 Winrock and Coronado Center (which is basically across the street) actually co-existed for decades. Coronado is co-existing nicely with ABQ Uptown across the street. ABQ/Rio Rancho is big enough that Cottonwood on the Westside and Coronado Center really don’t run competition to each other. I used to live near Coronado/Winrock, but have since moved to the Westside. Haven’t been there in years. What happened is bad management not reading the market demands and then not acting on the direction the market was going. 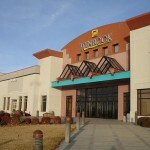 Winrock was a very cool mall, had a Best Western attached. Even had carpeting in some areas. 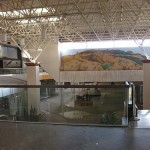 Up until a remodel of Mesilla Valley Mall in Las Cruces, NM, I had never seen carpet in a mall. Along the east coast of wisconsin on lake michigan, SE of Greenbay, Wi. 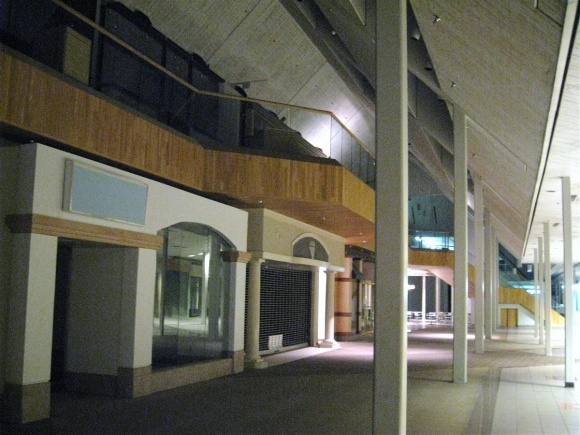 Was a quaint 24 storefront mall was assembled from concrete panels. 1967-69Phases were, Montgomery Wards, A&P, Penneys and 17 more. I live in Los Angeles but I grew up in Albuquerque. 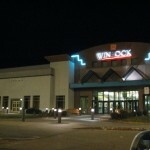 I loved Winrock Mall. 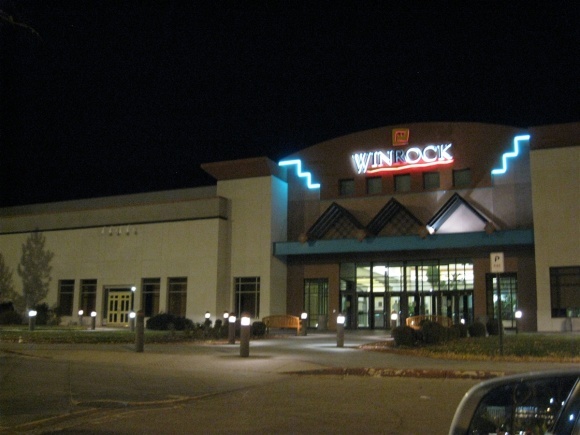 Winrock was a comfortable, relatively small, L-shaped mall. I was born in the 70s and moved to Albuquerque in 1980. 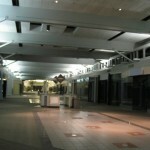 I remember going to Winrock Mall with my mom. Winrock has a soft spot in my heart from all the memories I have of it as a kid. 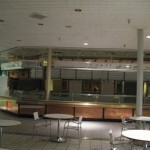 I remember eating hamburgers at the food court. 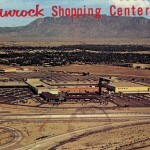 Winrock was the “go-to” mall back in the 80s, I liked it much more than Coronado Mall which is less than a mile away from Winrock. But things started changing in the late 80s and early 90s. 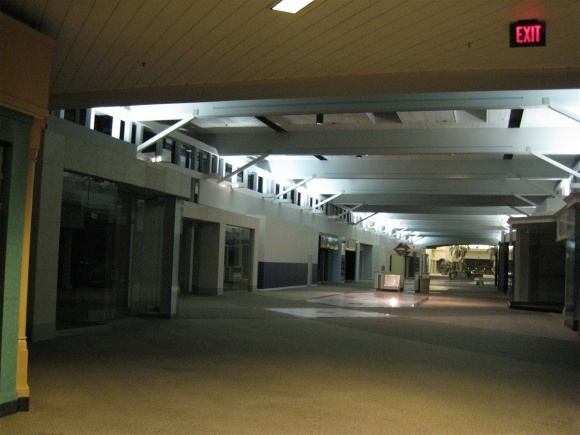 Coronado became the go-to mall and Winrock started stagnating. 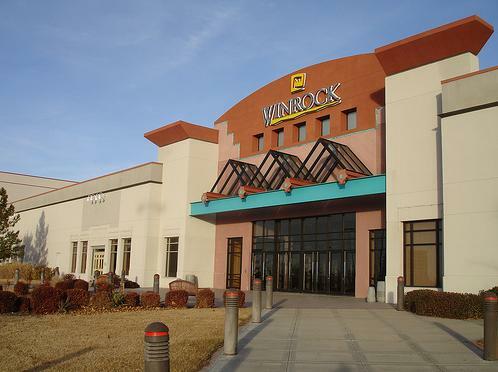 There was a period in the mid 90s where Winrock received a surge of new businesses moving in. 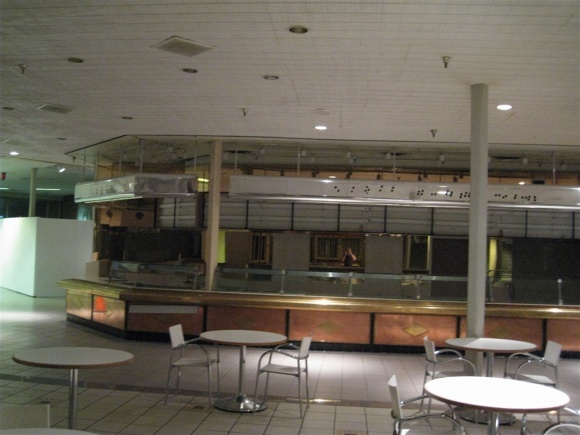 Remember when Johnny Rockets was up on the upper level. Things seemed to be looking up for Winrock. Then slowly the decline began. 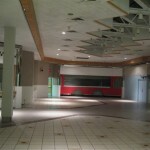 Winrock Mall could have been saved. 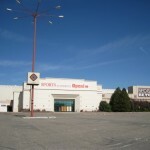 If a Super Target/Super Walmart and a huge Century Theatre had been put into Winrock then history would be different. Why? Because Winrock had so much potential. Not just because of its design but rather because of its central location and ease of access. Apparently IMAX is interested in putting a theatre into Winrock. I don’t think even IMAX can bring Winrock back from the dead at this point. Too little too late but give it a shot anyway. Once Cottonwood up we stopped going to both Winrock and Coronado, mainly because Cottonwood is such a nice mall. 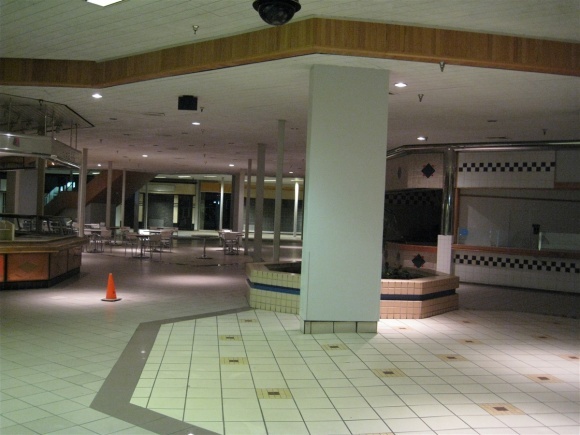 I didn’t go back to Winrock til about 2005 when I moved into the UNM dorms and was completely shocked how dead the mall was(Borders was still there at that time). I wondering if anyone knows what name of the place that was in the parking lot of windrock. It was like a soda fountain, it candy all over the walls. it must have in the early 70’s or mid 70’s. If any one has picture of the inside, it would be great to see it. I learned how to drive a car in the Winrock Parking lot back in the mid-70’s (72 Charger). Winrock was the “cool” place to go for young Mom’s with their babies in strollers. @debbie a, Farrell’s Ice Cream Parlour was there, I believe. 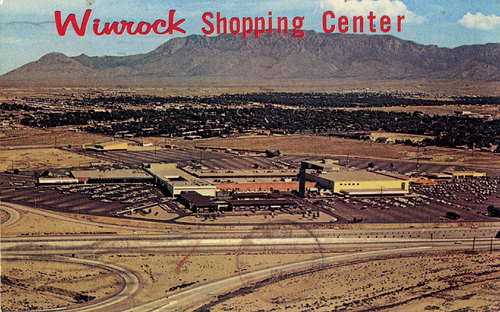 I and my (then) wife shopped at the Winrock Shopping Center back in 1971,72,and 73 while I was a student at UNM until she and I split up. Went to the movies there, did grocery shopping there, and sometimes ate there. I moved back east in ’76 and still have very fond memories of not only that mall, but The Land Of Enchantment in general. Go Lobos!! @Mike Leskela jr., – It’s not extinct. It’s being revitalized. The Winrock Inn has been torn down. A new 16 screen theater is going in, 3 new restaurants, and new stores. There’s also a Super Target going in. And not just *any* Super Target. This one’s going to have underground parking. What’s really changed in that area is the addition of ABQ Uptown. Where the real change in ABQ is, is the explosion here on the Westside. Too bad such a long notable mid 20th century destination for Alb. was neglected. Women at Baumgartner’s Fashions, Christmas bark candy at Montgomery Ward’s, and the annual trek for a patty melt and fresh strawberry pie at the Walgreen’s luncheonettet. Shopping Safeway/Fedway and Yamamoto’s Garden Supplies before taking the bus over to Coronado Center or to the cousins apartment across the freeway. Correction: That was Weingarten Fashions, not Baumgartner. Good article regarding the history of Winrock. I have many fond memories as a child playing by the fountains and visiting the local toy store – “Toys By Roy”. It was certainly a great mall. Sure, it looks pretty, but open-air malls are not nice places to casually stroll through (at least in Albuquerque). It’s often too hot in the summer, too cold in the winter, and too windy in those transition months for such activities. Well, maybe I just miss Winrock’s original quality and character.